Ovarian cancer is the most fatal women's cancer in Canada. Every year, 2,800 Canadian women are diagnosed with ovarian cancer, and every day, five Canadian women die from the disease. While all women are at risk for developing ovarian cancer, certain genetic mutations contribute to increased risk. 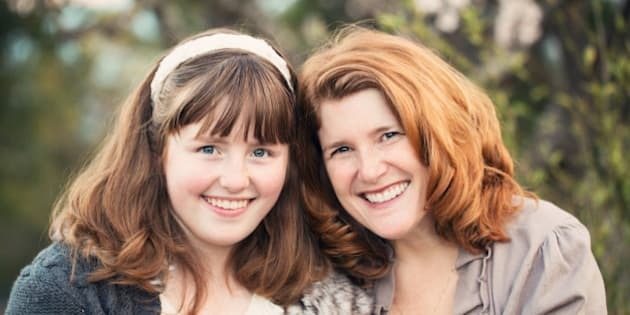 Know Your Genes is a new initiative from Ovarian Cancer Canada aiming to educate women about the role of the BRCA gene in ovarian cancer, and encourage them to speak to their doctor about their potential risk. 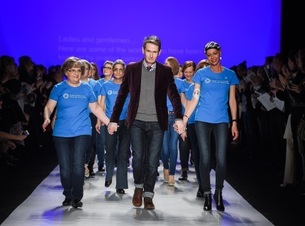 To mark the launch of Know Your Genes, Ovarian Cancer Canada partnered with renowned Canadian fashion designer David Dixon, who unveiled a unique new collection inspired by the role of genes in ovarian cancer at Toronto Fashion Week. The show opened with a video that shared David's motivation, explaining that his new collection uses "jean" fabric to inspire conversations about "genes" and ovarian cancer. Following a stunning runway presentation, David appeared onstage to walk hand-in-hand with women living with ovarian cancer and others who had been tested for gene mutations. Dressed in teal T-shirts and jeans, they made a powerful fashion statement indeed. 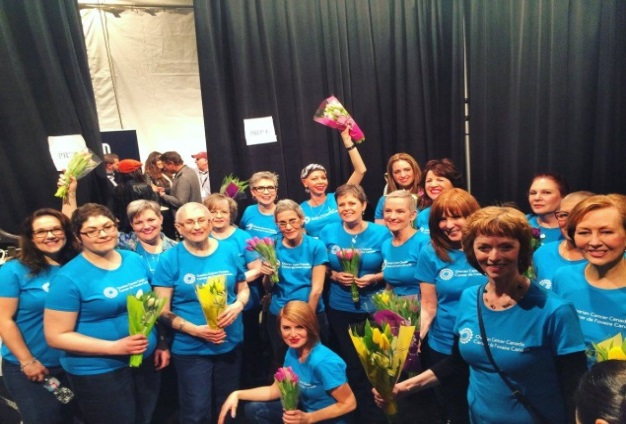 It was especially moving to see a sea of teal, the colour of ovarian cancer awareness, take to the runway. The crowd rose to its feet for a standing ovation as David walked with these amazing women in a show of strength and solidarity. Together that evening, we sparked conversations about ovarian cancer, genetics and the importance of knowing your family history -- conversations that would continue through Fashion Week to be brought up at dinner tables across the country. This awareness is particularly important because ovarian cancer is so rarely discussed, what's more this disease is often overlooked and underdiagnosed. The more people who are compelled to talk about it, the better. 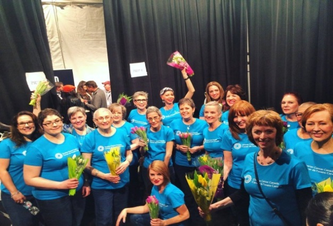 A fantastic success, the Gene Collection runway show captured the imagination of the national media who featured images of David's beautiful designs in their Fashion Week round-ups, giving the role of genetics in ovarian cancer the attention it deserves on a national stage. Ovarian Cancer -- Did You Know? Ovarian cancer is the most fatal women's cancer in Canada. Every year, 2,800 Canadian women are diagnosed with ovarian cancer, and every day, five Canadian women die from the disease. While all women are at risk for developing ovarian cancer, certain genetic mutations contribute to increased risk. For instance, as many as 20 per cent of all cases of ovarian cancer are the result of a BRCA gene mutation. Everyone has BRCA1 and BRCA2 genes, which are known as tumour suppressors because they are responsible for repairing damaged DNA. Mutations of these genes have been linked to hereditary breast and ovarian cancer. Ovarian Cancer Canada encourages all women to be in the know about their risk of ovarian cancer. Know your genes, because knowledge is power. For more information, visit ovariancanada.org.